Smiling is so important – it releases happy endorphins. So it makes me so sad when people are afraid to smile because of their teeth. Smiling is also infectious, so I like to smile as much as possible. I am an avid tea drinker so a couple of years ago my teeth were really discoloured. I really noticed it when I started Youtube and wanted to do something about it but didn’t really know where to start. There are so many products on the market and I was so unsure what would work and was a fad. I was introduced to Janina by a friend and the first thing that instantly got me hooked was the trays. Having looked extensively into different teeth whitening options I knew that to get trays made at the dentist it’s usually around the £300 price mark. You can pick up Janina Pre-filled Trays from Boots for just £20. At this price I was willing to see if they worked. They are clinically proven to whiten your teeth in just 5 days with results showing that out of 24 volunteers teeth were approximately 3.6 shades whiter after just one application. 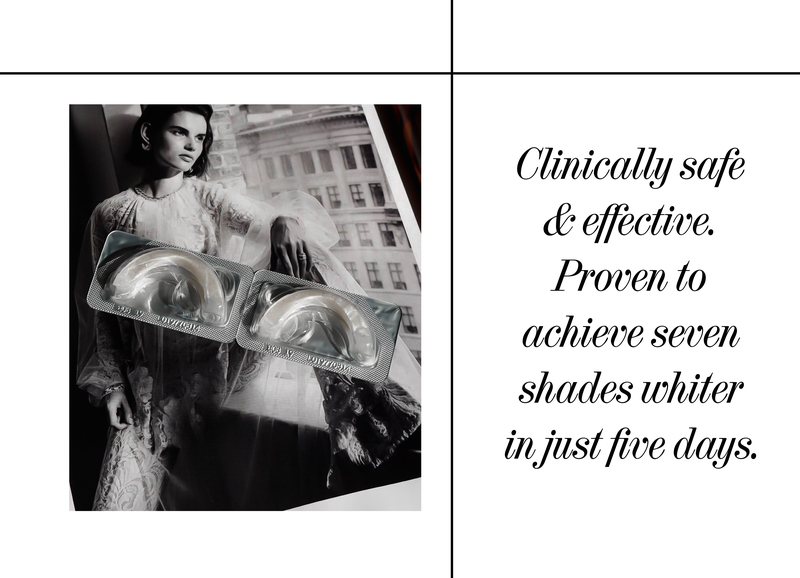 The trays are soft and flexible and have pre-filled solution that when mixed with saliva forms a teeth whitening action, so not only effective but quick and easy too. The most important thing for me when looking into teeth whitening is not damaging my teeth. After having braces for over five years as a teenager I really like to look after my teeth and there are a lot of products on the market with bleach in them which is very harsh for your teeth. 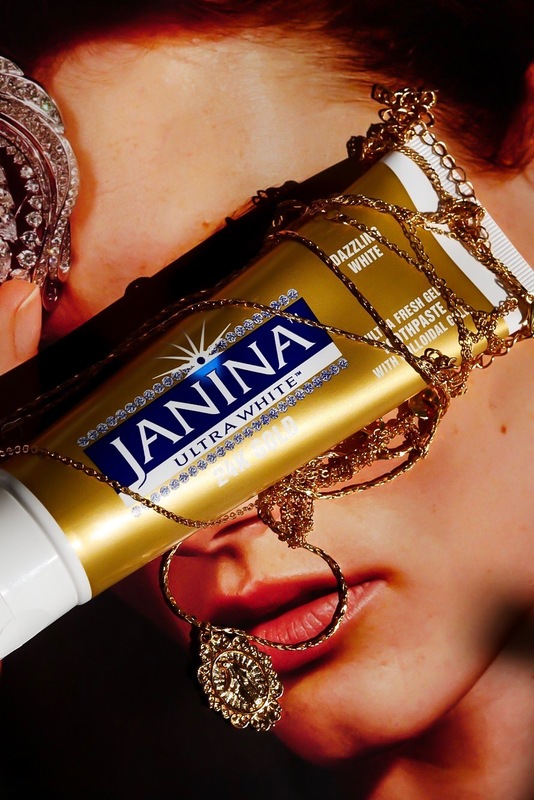 Janina Ultra White is a unique and clinically proven low abrasive formula which doesn’t cause harm to the enamel and is excellent for the removal of stubborn surface stains. So if you’re like me and drink a lot of tea it will work like a treat. It also helps with coffee, nicotine and red wine stains. Janina is stocked in a number of dentists across the UK, which is another really important point. If dentists don’t stock a whitening product don’t use it! As well as the trays there are a number of toothpastes which helps keep your whitening topped up! 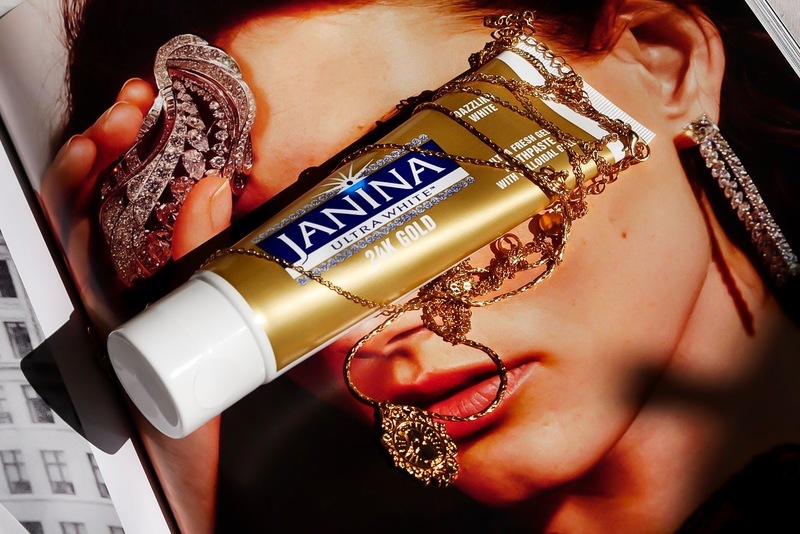 I particular like the Janina 24K Gold Toothpaste and not just because it sounds super fancy! It contains Collodial Gold which is beneficial for regenerative and ain’t-inflammatory issues. It also contains Bromaine Complex which whitens the teeth without harsh abrasives. Another favourite is the Charcoal Toothpaste and as you may know charcoal is one of the oldest techniques for clean teeth dating back for many years. Charcoal has the ability to absorb toxins from the mouth and remove stains without causing harm to the enamel and also helps with fresh breath too. 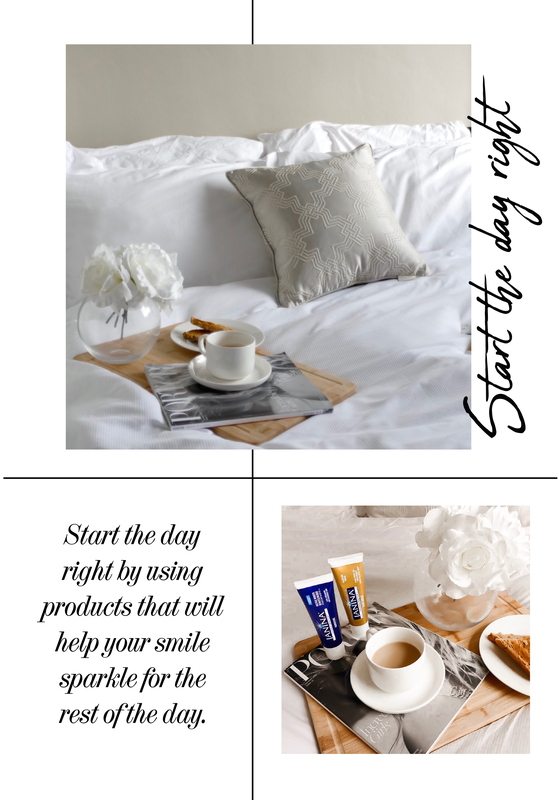 I will link all the different toothpaste options below for you to explore. The Sensitive Toothpaste – is specially formulated to decrease teeth sensitivity to cold. The Extra Strength Toothpaste – has a higher percentage of natural fruit enzymes to promote faster low abrasion whitening, without harming the enamel. The Maxiwhite Super Strength Toothpaste – contains a grade of Hydroxyapatite, which has been found to have excellent non-abrasive teeth whitening properties. The Activated Charcoal Toothpaste – ‘absorbs’ toxins from the mouth, whilst purifying and refreshing the breath. 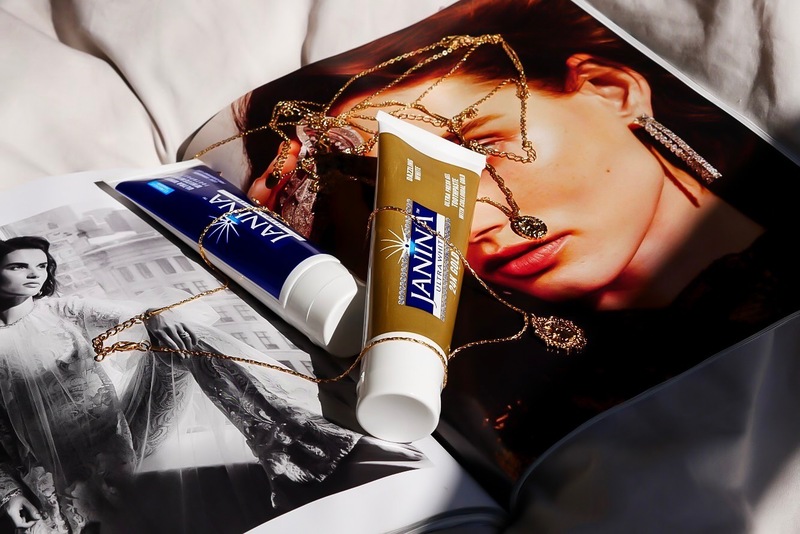 The thing that sets Janina apart from the other products you find on the shelves is that is doesn’t contain silica which many formulas do. Silica may achieve results but also acts like sandpaper and rubs the protective enamel away. I honestly put so much research into teeth whitening when trying to find suitable products as my smile is something I’ve always taken such good care of. You can check out my latest Youtube videos to see how effective the whitening is! I hope you like the product as much as I do! *This post is a collaboration with Janina but all thoughts, creativity and opinions are my own.